This Fashionista was chosen as our “Fashionista of the Day in Pearls” because she shows us that pearls can be fun and fabulous. 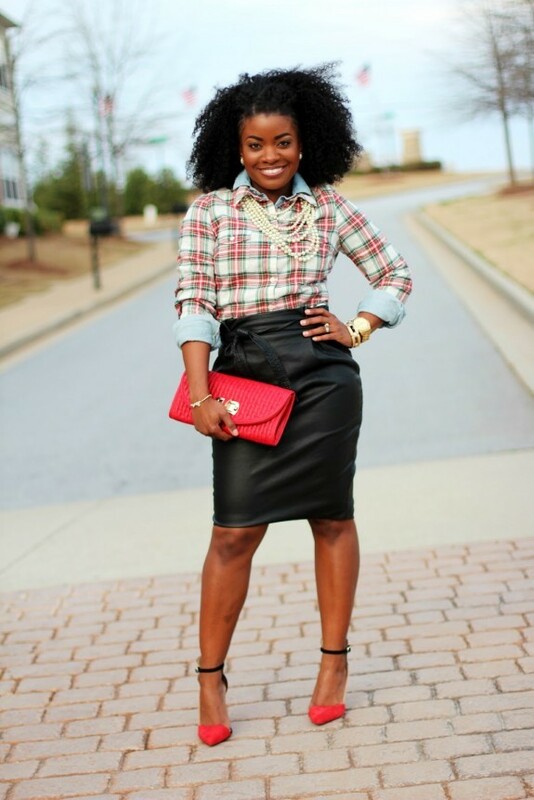 Serena, blogger of her own fashion and style blog, Serena Saga, shows off her care free and fun style by layering multiple strands of pearls on top of a layered plaid and denim button-down blouse; black leather skirt; red accent clutch, and red and black ankle strap shoes. More than having great hair, her beautiful smile makes the pearls a sensation! Take a closer look at the detail of the necklace… totally adorable! This entry was posted in PearlsOnly and tagged black leather skirt, cute, fashion, Fashionista, fashionista of the day, look book, Pearls, serena saga, style by PearlsOnly Team. Bookmark the permalink.